Bought a 2016 Ford Edge from Imports Unlimited. It was almost perfect. One would think it just came off the showroom floor. Mike Caro was very attentive to answer all my questions about the vehicle. The team of Amy and Colleen were wizards at getting the paperwork to us and processing it. Dave worked with us to get the vehicle shipped to Texas. When there was a glitch with the shippers, they made sure we were aware of what was happening. The honesty, caring, and business savvy would lead me to recommend them to anyone needing a quality vehicle at a reasonable price. Would do this all over again!! These people make you feel like you are their ONLY customer. Sure don't feel this way at a regular car dealership. I had an excellent experience dealing with the folks at this dealership. Though I ultimately chose not to buy a vehicle at this time (any vehicle, from these nice folks or others) I want to compliment Rick and Mike for the best car shopping/ buying experience I have ever had. They were patient, polite and knowledgeable. When my wife wanted to check out the car I fell in love with they treated her wonderfully. When I am in the market again I will definitely be in touch with these great people. 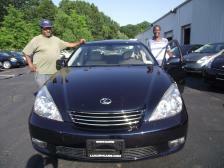 I've purchased two vehicles from Imports Unlimited. Given my experience, I think I owe it to Mike to post a review. I purchased my first vehicle in 2003. Yes, nearly 14 years ago! It was a recovered stolen 1998 Toyota 4Runner with 70,000 miles. I STILL drive that 4Runner, it now has almost 300,000 miles and it is as reliable as the day I bought it. Change the oil regularly and keep good tires on the car and it will run forever! Mike has offered to buy back the car from me should I decide I want to get rid of it. I'm not sure I will ever want to do that! I purchased my second vehicle 5 yeas ago. It was a flood recovery 2007 BMW 335xi with 20,000 miles. It now has 125, 000 miles - I bought it to drive! - with no signs of water damage. Fun car to drive! Mike was very upfront about the history of both vehicles I purchased from him. As a bonus, he's just fun to buy a car from! He scrutinizes his purchases better than I could ever do myself and I've now tasked Mike with finding my next vehicle. Yes, he will do that for you! Great concept and great customer experience. I drove only Honda Civics since 1980. There was no way I would ever switch to any other make or model car. However, my boyfriend casually brought me to Imports Unlimited, and I fell in love with this awesome Hyundai Veloster. The owner, Mike, was completely honest with me as to the water damage of the car. Though he could have been quite busy, since there were calls coming to him from all over the world (Really...All over the world! ); he spent so much time with me and wanted me to be sure that I could adjust to giving up the love of my life, my Civic. I took the car home and I was given time to change my mind. But I didn't. I Loved the car. And then a few weeks after buying it, something goofy happened and it went into "Safe" mode. Not a problem; since Mike and his service department (run by Dave; another great guy) actually sent a tow truck to pick it up. They gave me back my Civic to use until they were sure they solved the problem. The problem not only got solved, but I saw how dedicated everyone is at that facility. I still stop by there to say "Hi" and show off my car. While I'm complimenting the sincerity of everyone who works there, I must include Michael S. He's at the desk next to Mike, and he still remembers my name and is genuinely concerned if I still like my car. You don't find that at any other car dealerships.... even Honda. I was searching for an all wheel drive sports sedan with roomy seating. 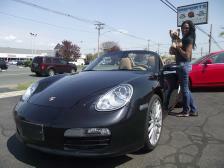 Mike introduced me to a Porsche Panamera 4, which was a perfect match and the purchase was a smooth transaction. A different Panamera 4S arrived with an even better color scheme. Mike spent the time to develop a trade-in deal and honored mutually agreed upon terms. He ensured that I was covered by the vehicle’s warranty, which was critical to me being a previously owned, luxury car. Also, Mike’s reputation among the Porsche service representatives is outstanding.  Additionally, Dave in service is attentive to any maintenance and service needs as well as following up with his customers. I’m currently driving my second car from Imports and will continue to use them for future vehicles. Best Dealership Experience I Have Had! Twenty years ago, we purchased a Saab from a different dealership. After multiple repairs with no results, we brought the Saab to Imports Unlimited. They repaired the car at a low cost and we never had anymore problems. Since then we have purchased 9 cars from Imports Unlimited. 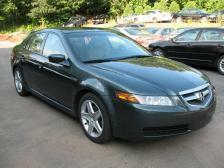 Most recently we purchased an Acura TL that we still enjoy to this day. 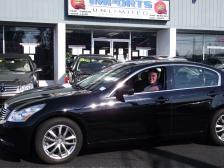 We have always been completely satisfied and recommend Imports Unlimited to all of our friends and family. I purchased a used 2005 Porsche Boxster. The car underwent a strict PA inspection and then another by my local Porsche mechanic. He only works on Porsches. The auto passed both inspections perfectly. 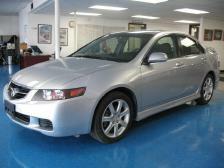 The car is exactly what I wanted -- a high performance car at a good price that was mechanically sound. The dealership worked with me very responsibly. 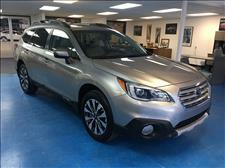 They held the car as they said they would, answered my questions patiently, and were very helpful throughout the purchase process. The dealer was not pushy nor did they over-represent the car in any way. They kept the discussion very factual. Driving the car is great, pure fun. My kids and I are having a blast with it. Would I do it again? You bet, but I don't have to, not for a while at least. This one is a keeper. Thank you, Imports Unlimited. I brought the car to an Acura dealership for maintenance because of the convenience, but I had to bring it back to Imports Unlimited to be fixed correctly. Rudy delivered the car on time, and it was spotless. Mike was great as well. My first car purchase. WOW! Such great selections! I will certainly be one of their many returning customers. The staff at Imports Unlimited are the best! Great experience dealing with the staff at Imports Unlimited. Rudy, the salesman, was knowledgable and upfront about everything. The car runs great, looks great, and I got it for alot less than anywhere else. I had such a good experience at Imports Unlimited. Ana and Stan were very helpful and friendly. Everyone come on down! You won't be disappointed!